I learned a lot, but it was presented in a relatively boring manner. Great if you want to know about how the AFL and conservative unions treated women, compared to the IWW, compared to the Socialist party, compared to the womens unions (not all of these categories are mutually exclusive btw). Themes are what caused unity vs fragmentation and the relationship between feminism and socialism. The writer is an avowed marxist, so theres that. The last 2 chapters focus on two specific (and very contrasting) strikes; the Shirtwaist strike of 1909 (AFL directed) and the Lawrence strike of 1912 (IWW directed). These are the least informative about broader history of the movements in question, but I enjoyed them most. I wanted to like Tax's book, and I think she tried to do good work on this topic and cover aspects of women's involvement in labor struggles that have sometimes been overlooked. 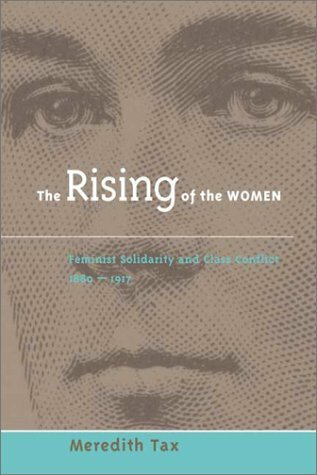 She also took a practical approach, looking to see how the strategies employed by women at this time might be applicable to current feminist movement.However, it seems that much of the research was not thorough and well done, and as far as I can tell, a few passages are plagiarized wholesale from previous classics on women's labor history. How that passed by the publishers, I'm not sure; but it screwed over part of a research project I was doing last quarter because I had based my arguments on points made by Tax in this book and then decided that I just couldn't trust that her material was accurate.